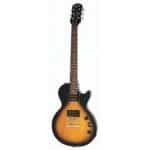 The question of “which is better- the P90 pickup or the humbucker pickup” is almost as old as “which came first, the chicken or the egg?” There is a whole list of significant differences between the P90 pickup and a humbucker pickup, not in only in how they are physically built, but also in the sound that their produce. 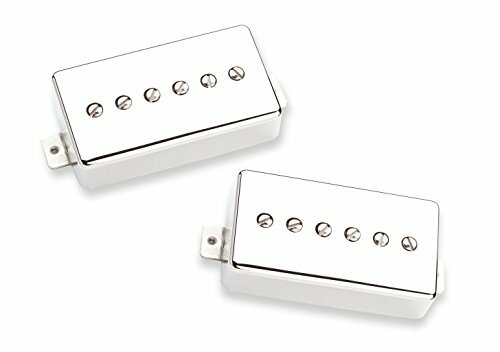 Both the P90 pickup and the humbucker pickup have their unique disadvantages and advantages, which means that you might find one pickup to fit better the sound style you’re looking to achieve better than the other and of course it will depend in which electric guitar do you have. What is a P90 pickup? A P90 pickup provides users with a sound that sounds a bit like a single-coil pickup, a little bit like a humbucker pickup, with a vintage low output sound thrown into the mix. 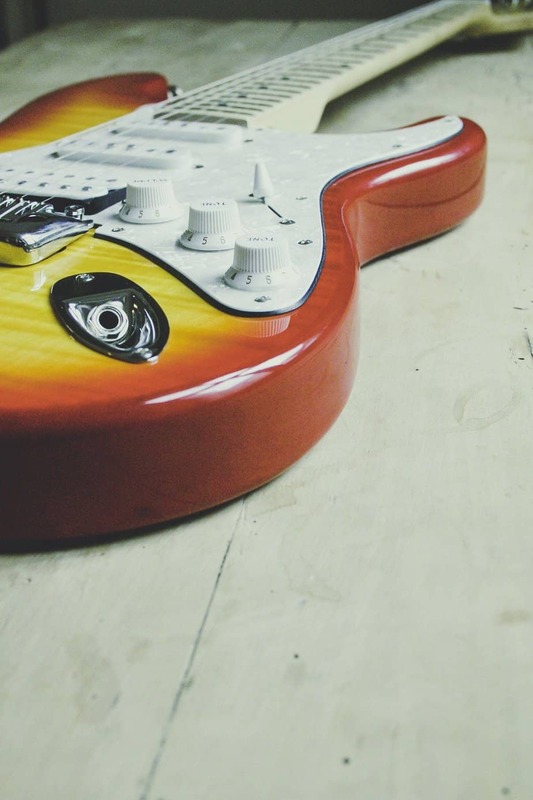 A lot of famous guitars, like the Les Paul (humbucker pickup) or the Strat (single-coil) depend upon these two types of pickups to produce their sound. However, the P90 pickup is a pickup that’s often forgotten in the guitar market and without good reason. 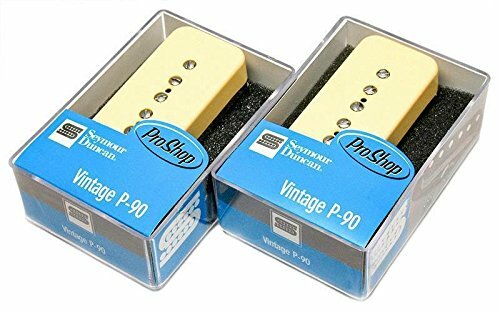 I always recommend the sound of a P90 pickup to musicians that are looking for the sound body that single coil pickups don’t offer or if they are looking for a high-end bite that humbucker pickups don’t provide. When comparing a P90 pickup to a humbucker pickup, you’re going to notice that the P90 pickup makes up for the midrange growl and the twangy highs that the humbucker lacks in. Fun fact about the P90 pickup: the P90 pickup pairs exceptionally well with semi-hollow guitars that are in need of a full-bodied, bright tone! What are the different types of P90 pickups? Humbucker casing: This is comparable to the standard humbucker design, as these P90s are a little thinner and longer than your traditional humbucker would be. However, humbucker casing P90s don’t require any modifications on your instrument. Soap bar: This looks like the Gibson P90 with a rectangular shape; the mounting screws are located in the middle of the pickup, so it doesn’t sit into your pickguard. 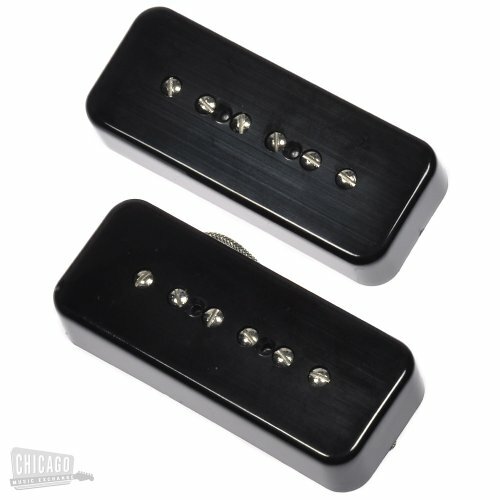 Dog ear: The dog ear pickup has a comparable design to the soap bar, as the dog-ear pickup also has a rectangular shape. But with the dog ear pickup, the mounting screws are located on a triangular extension on each end of the pickup. This may require some modification on your guitar, as dog ear pickups with a hook into your pickguard. What is a humbucker pickup? Create a large, warm sound that sounds incredibly different than the bright, brisk sound that many single-coil pickups create. Single coil pickups are a magnet wound with wire, which turns them into incredibly sensitive antennas that are very sensitive to electromagnetic interference. However, humbucker pickups are created with two coils rather than one singular coil. Having two coils cancels out electric hums and other external noises that are often associated with single-coil pickups, while also managing to leave the signal from the strings intact. But, how does a humbucker pickup solve all of the problems that come with a single-coil pickup? By using two coils that produce a signal instead of just relying on one coil to do all of the work! The two coils that come with the humbucker pickup have opposite polarities and windings; this arrangement of the coils creates cancellation of any unwanted electromagnetic interference. This special arrangement of the two coils also improves the overall quality and output level of the signal, while also increasing the length of your sustains and an increasingly dynamic range. How are humbuckers and P90s different? When you look at the basic structure of these two pickups, you’re going to notice that they are incredibly different. Humbuckers use two coils whereas the P90 pickup uses just one coil- but it doesn’t stop there. The geometry of the configuration of the coils, as well as the arrangement of the magnets, is entirely different too. Due to the differentiation in the setup of the coils and magnets, users will be able to hear differences in tonal qualities. 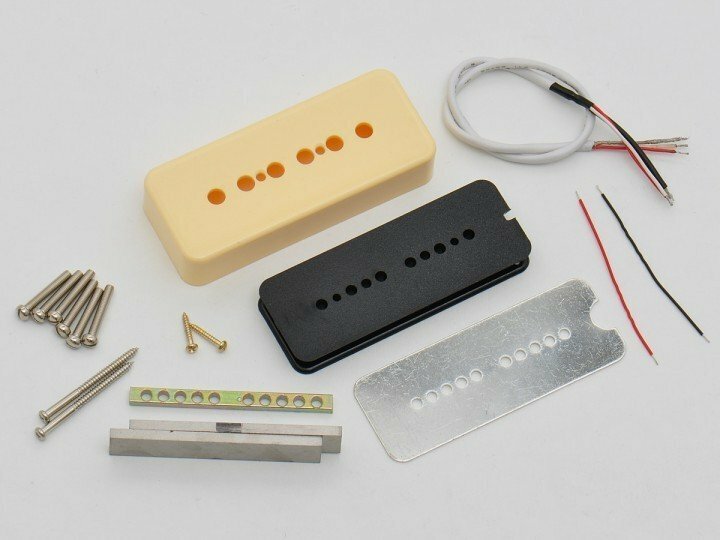 With the configuration of the humbucker pickup, you will be able to see a single bar magnet that is located under the two coils; this setup will give users a sound that is less dirty and gritty sounding (in comparison to the P90). Humbucker pickups also provide users with an incredibly powerful overdrive, but at the same time, also can deliver loud, clean tones. Generally speaking, a humbucker pickup is going to provide you with more versatility across a large selection of genres. 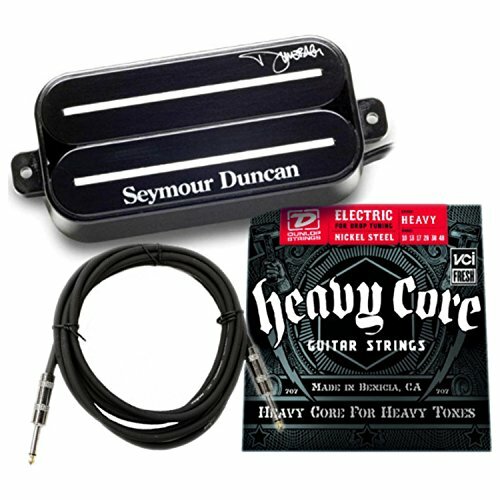 Seymour Duncan is famous for producing some of the best pickups that are available on the market today. You will be able to find Seymour Duncan pickups on guitars across Fender, Ibanez, Gibson, and other famous guitar brands! The Seymour Duncan Phat Cat P90 uses the Alnico II magnets, which provide this P90 pickup with an increase sustain, as well as a softer attack. This pickup has outstanding tonal clarity, even when you’ve switched yourself over to overdrive! In terms of durability, you’re going to find that the Phat Cat P90 has a durable metal cover that provides increased noise reduction and even more shielding, which gives the pickup a cleaner, smooth sound. One of the coolest things about this P90 pickup is that it has a humbucker pickup, which means that it’s compatible with humbucker guitars. However, the biggest downside of this pickup is that does have a bit of a muddier sound than your classic P90. You can find it on Amazon for $87. Check out the latest price! Seymour Duncan made their own twist of the vintage Gibson P90 by releasing their own vintage P90 pickup, the Seymour Duncan Vintage P90. The Seymour Duncan Vintage P90 is fitted with Alnico V magnets, which are the same magnets that the original Gibson P90 has. However, this pickup does have a higher output than a lot of other single coil pickups, which is what makes the gravel voice of the midrange so easy to tell apart. The Seymour Duncan P90 has the traditional soap bar design, which will allow this pickup to comfortably fit into a guitar that accepts any classic P90 pickup. What I like best about this pickup is that comes with a matte black, which provides users with a sleeker look than the cream that Gibson uses on their P90. The biggest downside of this pickup is that provides musicians with a muddier tone than the Gibson P90, but it balances out this poor quality by maintaining the original tonal characteristic that comes with the vintage Gibson P90. You can find them on Amazon for $184. Check out the latest price! The Lindy Fralin P90 pickup is famous for its substantial mid-range. Setting itself apart from other P90 pickups, the Lindy Frailin does provide users with a sound production that’s truly noiseless. You can think the reverse wound bridge on the Lindy Fralin P90, which helps to cancel out the hum when both pickups are turned on. 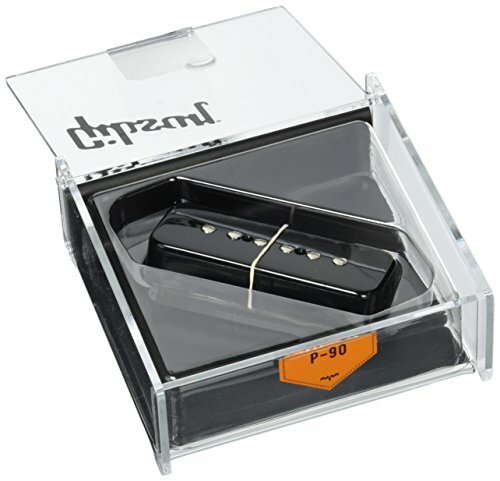 The best thing about this pickup is that you can choose between Alnico II magnets or steel poles; with the Alnico II magnets, you will receive a clear sound that has an increase sustain, whereas with the steel poles you will have a sound that is more similar to an original P90 in the 50’s. The biggest downfall about this pickup is that the hum-canceling may not be possible for your guitar to achieve if your instrument can’t use both pickups at the same time. You can find the Lindy Fralin P90 on Amazon for $184. Check out the latest price! While the Lindy Fralin pickup may sound like all fun and games (because it is), the price tag that comes with it makes it a pickup that isn’t easily accessible for a lot of musicians. However, just because this P90 pickup is a lot more affordable than the pickups on this list doesn’t mean that is scarified in quality. When you first lay eyes on this P90 pickup, you’ll notice that it looks a lot like a humbucker pickup when referring to its shape and size, but don’t be fooled by appearance- this pickup is a P90. This pickup comes with two single coils; one coil is referred to as the ‘hot’ coil and is depended upon for sound, while the other coil mainly acts to cancel out the noise. Having the two coils in this P90 pickup will provide you with the opportunity to play around with your sound. If you want to make your sound warmer, you’ll want to place the ‘hot’ coil closer to the neck of your instrument; if you’re looking to create a brighter sound, place the ‘hot’ coil closer to the bridge. What I like most about this pickup is that by having the adjustable ‘hot’ coil, you’re going to be able to play around and experiment with your sound. When playing around with the DiMarzio Bluesbucker, I also found that when I paired two of these pickups together, I was able to achieve a sweet, hollow sound that was extremely similar to the sound of two single coil pickups. What I dislike most about this P90 pickup is that it doesn’t come with a cover, which means it’s going to be a lot less durable than a pickup that does come with a cover. I also noticed that this pickup doesn’t reduce that humming noise as a humbucker would. And while I don’t view this one as too much a con, I do feel like I should mention it: you can’t fit this pickup on a guitar that doesn’t have humbuckers, unless you want to go and modify your guitar. You can find the DiMarzio Bluesbucker for$75. Check out the latest price! If we’re going to take the time to talk about the best P90s, I have to mention the original Gibson P90. This pickup has been a favorite among musicians of all backgrounds since the late 40’’s, as it promotes a combination of a clear sound and a high output. You’re going to be receiving a classic P90 sound from this pickup, nothing too muddy and nothing overly bright. It also comes with a waxed finish to help reduce microphone feedback and uses the Alnico V magnet which provides the overall sound with a more robust tone. The biggest thing that I like about this pickup is that achieves a warm, vintage P90 sound without too much effort in on your part. However, I don’t like the vintage cream finish that this pickup is painted in, as it looks incredibly out of place, especially on new guitars. The Kent Armstrong P90 is especially unique when compared to the other P90s on this list- this pickup has a double coil setup, instead of your average single coil. Having two coils provides the pickup with a better hum canceling ability, but it does come with its downsides. The Kent Armstrong P90 has a lower output than a lot of other P90s, which means that it has a duller sound and a high end that’s much darker. On the other hand, this harder sound makes it a great P90 pickup to use if you’re looking to play in metal, hard rock, or other heavier genres. Knowing that this model isn’t meant to be top of the line, it does make a great pickup for those who are looking to experiment with their sound without spending too much money. For our first humbucker pickup, we’re going to be discussing the Seymour Duncan SH-PG1b Pearly Gates, which gives users with an edgier tone with a brighter top end that makes great if you’re looking to play lead guitar with a lot of solos. 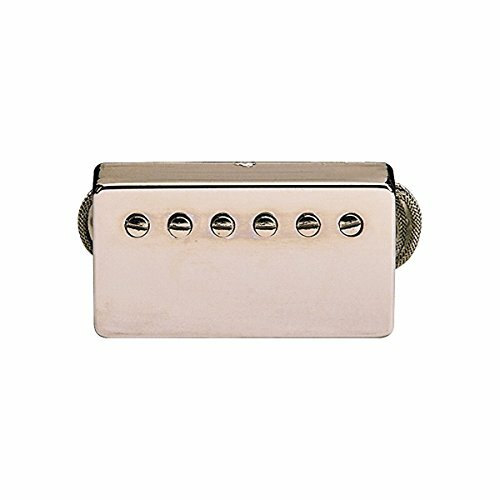 If you are a musician that primarily focused in playing blues-rock or hard rock, this is going to be amazing humbucker pickup for you. You will be receiving excellent sustain and clear high ends, which will provide your harmonics with more projection than you could ever imagine. What I dislike most about this humbucker pickup is that it doesn’t really allow you to experiment with your sound too much if you’re not looking to stay within one music genre. The Seymour Duncan SH-13 Dimebucker is perfect for heavy metal guitarists, as it’s durable enough to keep up with even your most aggressive riffs. If you happen to go with this humbucker pickup, you’re going to find yourself with a pickup that provides outstanding clarity in the top end, paired with groundbreaking impact on the lower end. What I dislike most about this pickup is I found that the pickup didn’t respond very well when I tried to play rhythm instead of lead, so I would keep that piece of information in mind if you’re shopping around for a humbucker for your rhythm guitar. However, I did like how much this kept up with my sound purity when playing through hard, aggressive riffs. 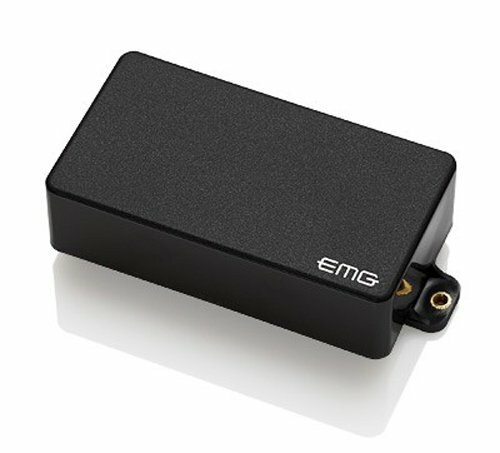 The EMG 81 Active Guitar Humbucker Pickup makes a great choice if you are a lead guitarist that enjoys playing hard rock and/or metal, especially when it’s paired with a high gain amplifier! When playing around with this humbucker pickup, I found that I was able to achieve outstanding overdrive sounds when I adjusted my master volume knob. What I dislike most about this pickup is that this pickup is only good if you’re looking to play metal. I tried playing around with this pickup in several different genres, metal, metalcore, heavy metal, indie, and alternative. I found that when playing around in genres that weren’t heavy, this pickup didn’t perform very well as the clean tones were too bright or the sound would crack. However, as a musician that enjoys playing heavy metal, I found that this pickup performed exceptionally well for everything that I put it through. This Gibson 57 Classic Plus Humbucker will provide musicians with the ultimate old-school tone with a smooth, velvety tone. This humbucker pickup was created to mimic the sound of a late 50s humbucker and does an excellent job of doing so. You’re going to be getting your hands on an authentic tone that has just a bit more output than an original humbucker from the 50s. When playing around on this pickup, I did feel like this pickup was lacking a bit in the midrange, especially when being compared to the other humbucker pickups I had just played around with. On the other hand, I did really enjoy the full, smooth sound that I received from this pickup. If you were someone who grew up on 70s and 80s rock, you’ll probably be very familiar with the sound of DiMarzio DP100 Super Distortion humbucker pickup, even if you know almost nothing about pickups. This humbucker pickup packs a hard punch, especially in the midrange of a guitar. What I dislike the most about this pickup is it doesn’t provide an enjoyable, clean sound; when I was playing around with a clean sound on this humbucker pickup, my sound was very dull and lifeless. However, I do think it’s a great bonus that this pickup will fit with most Gibson’s, Floyd Rose, and Fender bridges! The Railhammer Hyper Vintage Humbucker Pickup is a newer pickup to the market and provides musicians with bell-like highs with an overall warmth to the sound. 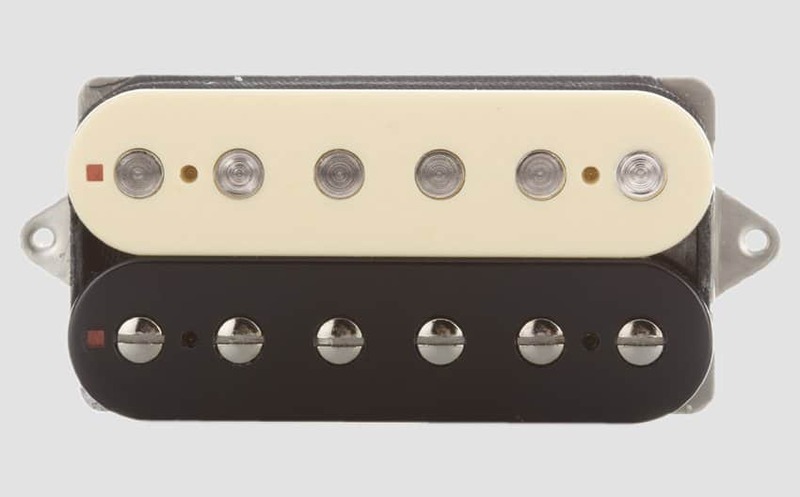 This humbucker pickup is extremely popular with musicians who are looking to experiment with their sound, because this Railhammer pickup provides balance among the volume of each string, which is something we haven’t seen on the market yet! 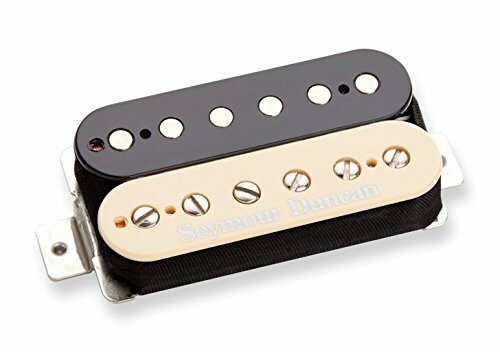 What I disliked the most about this humbucker pickup was that it was a bit more expensive than your standard Duncan or DiMarzio, which makes it less available to musicians of all different backgrounds. When I was playing around with this pickup, I did thoroughly enjoy the versatility that the pickup provided me with. I was quickly able to achieve rich tones, bell-like tones, clean tones, a powerful overdrive, and fuzzy tones without too much effort on my part. I also enjoyed the physical build of the instrument, as the rails were a bit longer than the average humbucker and the poles are oversized, which allows this pickup to be placed into any guitar, in any position. situation and needs, one pickup may be a better choice than the other. If you’re looking for a tone that is brighter, punchier attacks, and a taste of a vintage sound, a P90 pickup is going to be a better choice for you. On the other hand, if you are a musician that is looking for a dark tone, a humbucker is going to be a better choice for you. Whatever pickup you end up going with, the pickups that we have listed above are going to provide you with high-quality sound, clarity, and intense power that’s hard to find in other pickups. Good luck and have fun choosing your next pickup!